How did the colonists go from the Stamp Act outrage in 1765 to being armed militiamen in 1775? 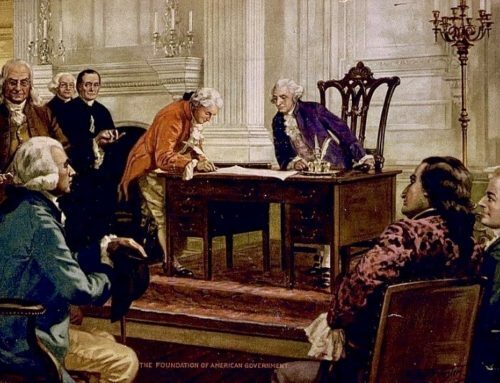 In one decade, after a preceding decade of abuses, a Second Continental Congress convened and separation or secession actually starts becoming not only possible but necessary. There were some, like Patrick Henry, who had advocated this all along. As a matter of fact, just reading Henry’s speech against the Stamp Act in 1765, he’d about had it then. 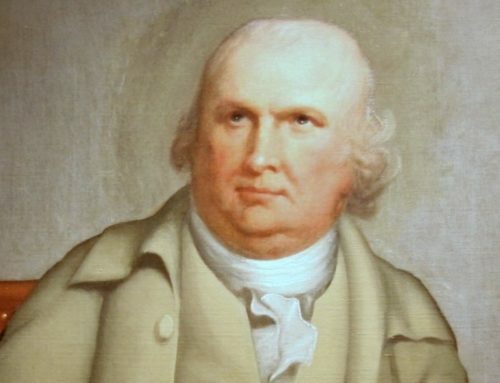 He was born in 1736, so he would have been twenty-nine years old when he first stepped foot in the House of Burgesses after having been elected. The things he said and the way that he said them are illustrative of that assemblage of men. 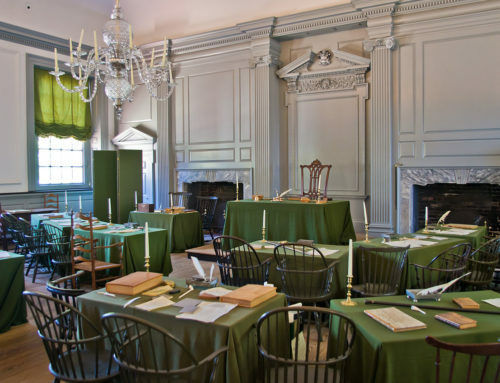 When the First Continental Congress got to Philadelphia, they didn’t know each other. There were a lot of big egos. They wondered: how are we going to do this? It wasn’t as though there had been other Congresses like this held before. There was a grand ruler, King George III. He had his own legislative body: Parliament. They had English common law. They had an English court system, trials by jury. They had magistrates and constables and what have you. In other words, they had everything that a government would need and did need to administer the daily functions of an empire, and they did administer the daily functions of an empire. If you were in violation of the rules or laws of the crown, they could bring you up, have you hanged, have you thrown in the tower, imprisoned or sent to an isolation island. The idea here that life was just grand and dandy and the English weren’t enforcing their own laws here in the colonies is just ridiculous. This is part of what made the insults the Founders were suffering so urgent and so reprehensible. The need to address them was urgent; the insults were reprehensible. They saw them up close and personal. They knew the people that were affected by them. Think about that for just a moment. We sit out here and we whine into our weak tea, whine into our beer, whine into our radio shows and Facebook, “What are we supposed to do? If Congress would only do this.” Do you know what those guys did instead of whining about it? They actually formed a new–after exchanging letters between the 13 colonies and what was known as the Committee of Correspondence– continental government. John Adams has probably the best account of the Second Continental Congress because he kept a diary. Every day when they would finish for the day or while they were meeting, there was Adams scribbling away at his diary. Thankfully for us, all of Adams’ diaries survived. We have the minutes from James Duane, the minutes of the meeting and Adams’ diary. Meeting in that First Continental Congress in Philadelphia in September of 1774 were Henry, Washington–Jefferson wasn’t in the first one, keep that in mind–Samuel Adams, John Adams, John Witherspoon, Samuel Chase, John Dickinson, the Rutledges, the who’s who of founding fathers. Folks, they hadn’t founded anything then. That’s just the beauty of this part of the story. They had to do it. They actually had to do it. One of the first questions they had to ask among themselves was: does anybody have any ideas about how we do this? They did what all great Americans do when confronted with a problem that requires lots of brainpower. When it requires lots of brainpower and you need to get an assortment of people together, what do you do? You go to a bar. They went to the city tavern. After they got sauced up a little bit and got to know one another a little bit, some of the egos got tucked away. They realized Carpenters’ Hall was right around the corner from the Pennsylvania Statehouse (which we call Independence Hall today). It was big enough to hold all 52 of them. That’s another amazing thing. Fifty-eight men were invited, fifty-two showed upon the first day, which is unheard of in that time. They went to Carpenters’ Hall and met. Again, they wondered: anybody got any ideas what we’re supposed to do? One guy said: We ought to keep a record. Whatever it is we decide to do, somebody ought to be writing this stuff down because somebody might want to read it in 2013. So they appointed someone to be the secretary, to keep the notes. There were more issues to decide. Were they going to vote by individual? In other words, would majority rule or were they going to vote by state. If they voted by state, were they going to vote individually by state? In other words, if there were seven guys in a state, would a 4-3 vote amongst those in a state carry the state? They had to figure all this stuff out. None of this was written down for them. My point is here, amidst all the acrimony and animosity that we hold towards our federal and state governments today for what they do to us, that the men you call Founding Fathers and the framers of the Declaration of Independence, basically erected their own government and began working at it while they were still members of or subjects of the sovereign of Great Britain. I don’t think that that sinks in to your average American person today. I don’t think that that’s absorbed. It is so fantastic and such an unbelievable story. It really is an incredible moment when you realize these things actually had to be designed and figured out. No one was going to do it for them. So when you throw your hands up in despair and disgust, [mocking] “What are we supposed to do? Come on, Mike, there’s nothing we can do. They’re watching all of us.” Maybe they ought to watch all of us meet in a Third Continental Congress. Your perseverance is to be commended. Keep up your splendid work in keeping people aware that Liberty and Freedom should never be taken for granted. Eternal Vigilance and Semper Fi. Patrick Henry was born in 1836?